Smoke Free. No smoking in cabins or trailer. Damage deposit of $425.00 required for trailer rentals. Rates may very during special events. Please contact us for complete information. All Rentals require a 50% deposit with a two week cancellation notice. Cool down and enjoy our beach! Children under 12 must have an adult over 18 to be responsible for them. Please no tubes, rafts, or other inflatable devices. Camp the way you want to! All prices are for two adults and two children under sixteen per day. Extra Adults are $10, and extra children are $5 each per site. 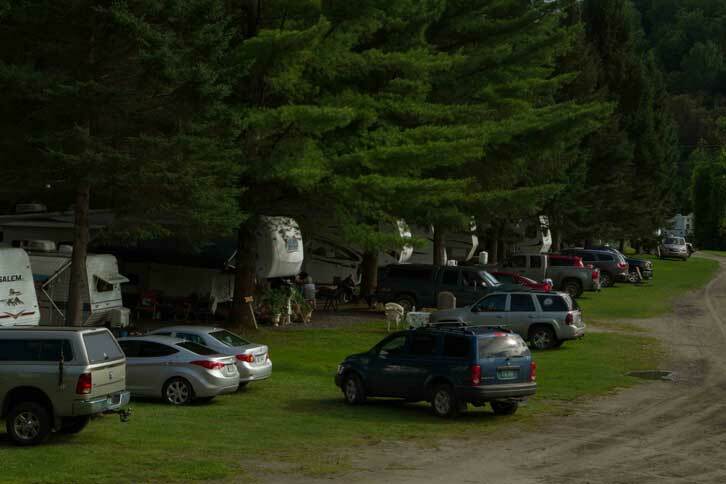 Weekly, seasonal,monthly camping rates are for RV campers only. Rates vary for holidays and special events. One week cancellation notice is required. Two-week cancellation notice on holiday weekends. Have all the fun of Camping without having to take the time to set up your Tent! If you don’t have tenting equipment, you can use one of our Rustic Cabins equipped with one full size bed, a set of bunks, microwave, TV, small refrigerator, table and electrical receptacles. Outdoor fire-ring for cooking; the bathroom and shower facilities are less than a minute walk from the cabin. NO pets AND no smoking in trailer or cabins. Camping Cabins with electric – $69 & up. $75 deposit for all cabin rentals New cabin with full size bed & loft. No bedding, linens included. RV Rentals – Go camping with all the comforts of home! 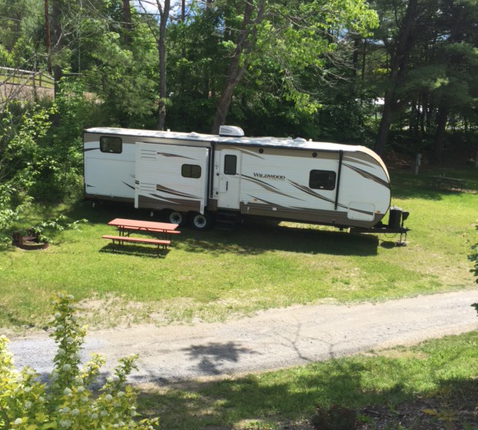 2017 Wildwood Sleeps 6, Bunk house, $160/night or $960/weekly, plus tax. *Rental Notes – Smoke Free. NO pets AND no smoking in trailer or cabins. Damage deposit of $425.00 required for trailer rentals. Rates may vary during special events. Please contact us for complete information. 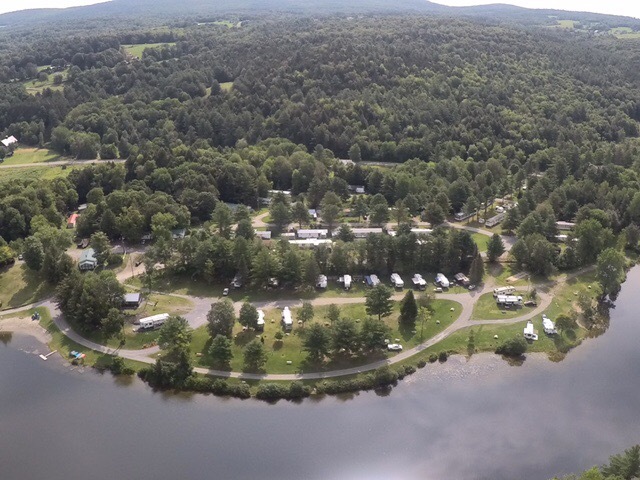 Weekly, Monthly, Seasonal camping is for RV site’s ONLY! All Rentals require a 50% deposit with a two week cancellation notice.